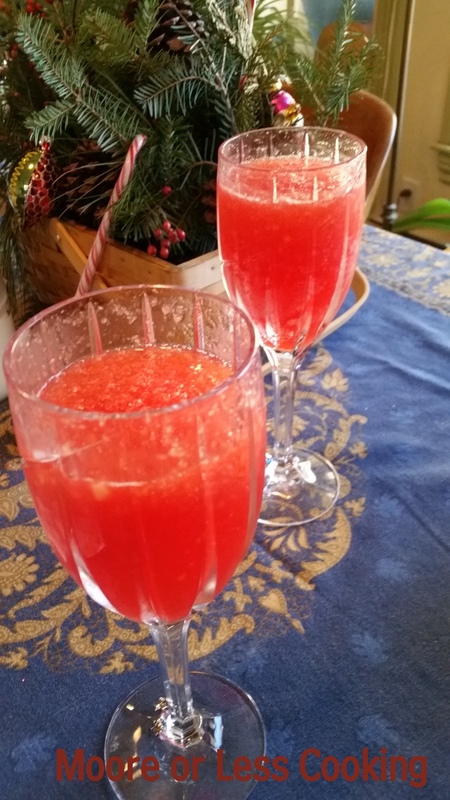 Dole® Peach Bellini – Cheers to the New Year with this Dole-icious champagne beverage, made with Dole® Fresh Frozen Peach Slices. At “Live on Green,” Angelenos and visitors from around the world will explore 100,000 square feet of free entertainment, unique and rare exhibitions, and fun activities, including foodie inspiration from Ally of Ally’s Kitchen on stage near the Dole Bistro. 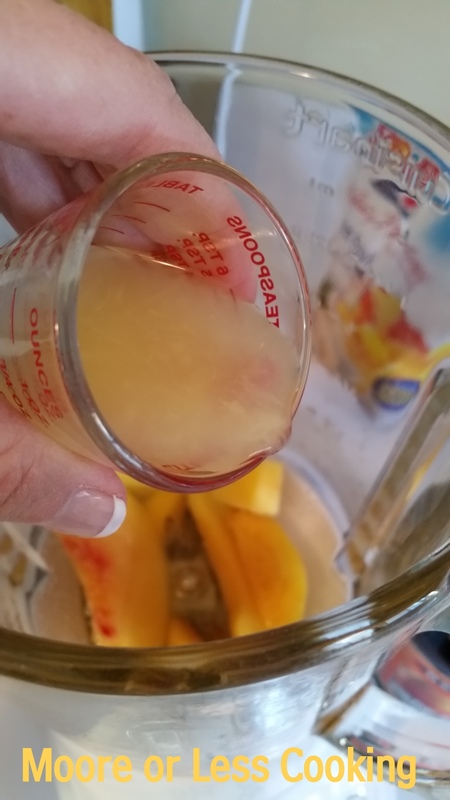 Here’s what you will need for this refreshing fruity drink! 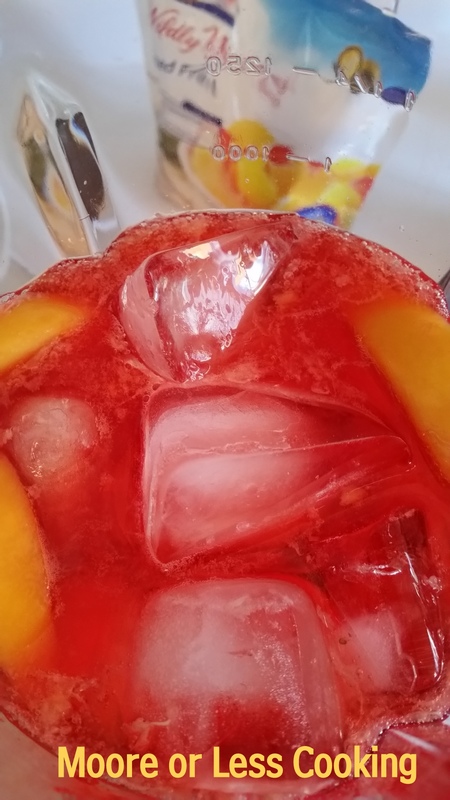 DOLE® Fresh Frozen Peach Slices, peach schnapps, champagne, fresh sour ( I used Fresh squeezed lemon Juice), grenadine syrup, simple syrup ( sugar and water), and ice cubes. 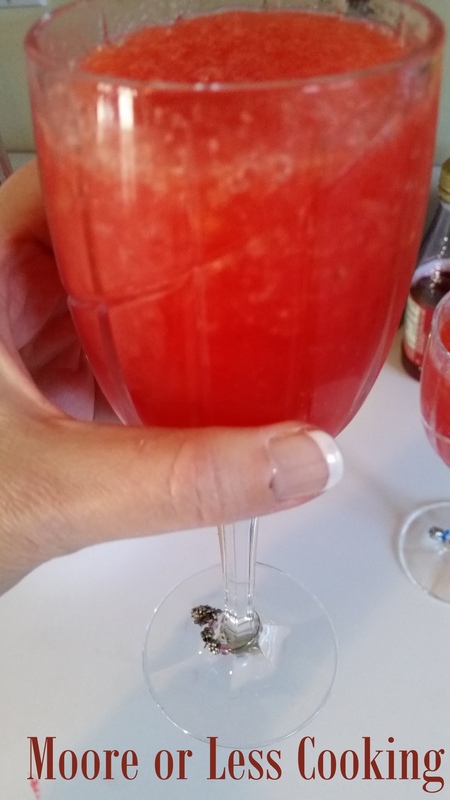 This easy and delicious Dole® Peach Bellini is so perfect for your brunch parties and celebrations. Tastes like a day in Los Angeles! 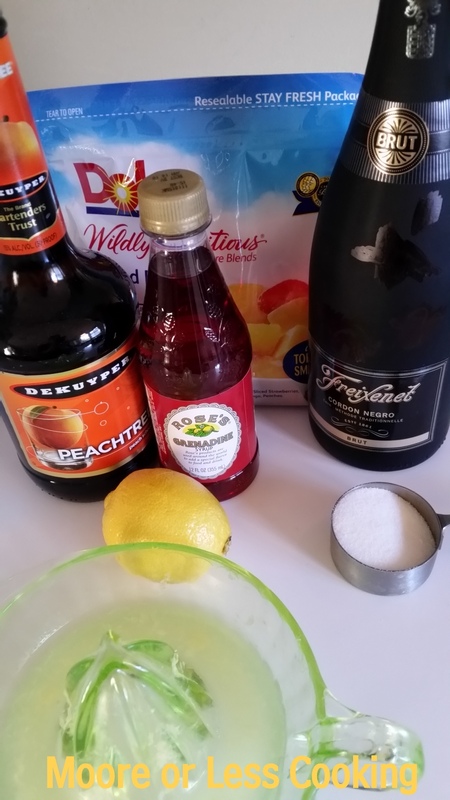 Wonderfully light, refreshing, and bubbly Peach Bellini’s! 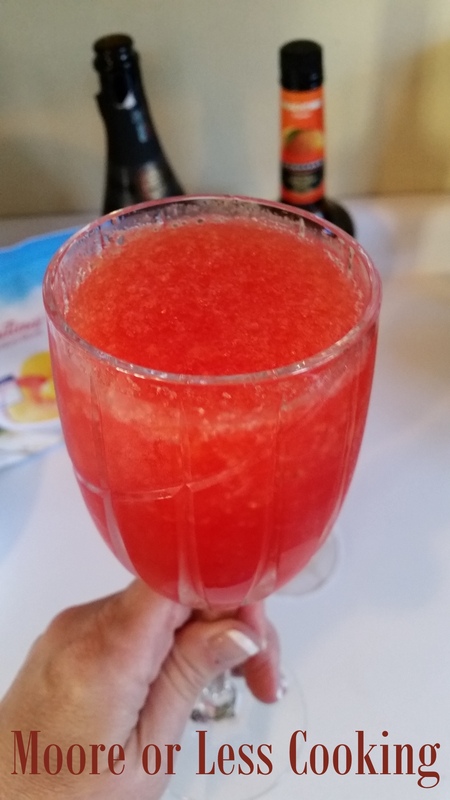 Get your blender out and make this refreshing Dole® Peach Bellini! It’s so fruity fantastic! On January 1, tune in to watch the Tournament of Roses Parade where Dole Packaged Food’s float, “Soaring Over Paradise,” explores the world’s rain forests. The float includes four waterfalls, a zip line that travels through the rainforest canopy and a flock of Macaws that appear to take flight over the floral gardens. 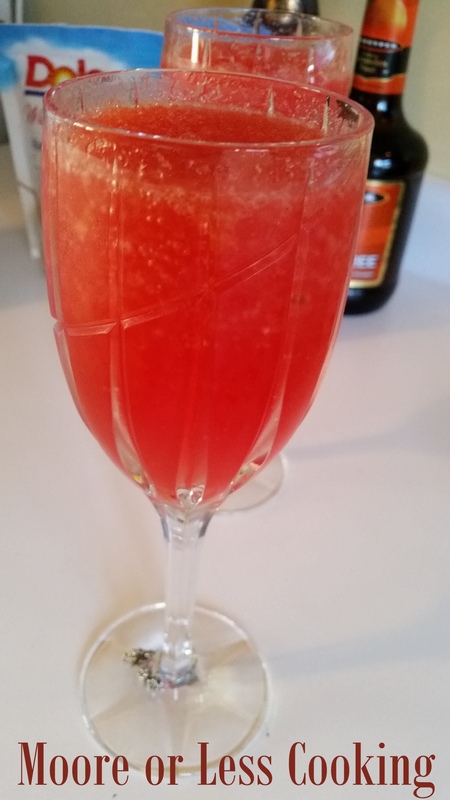 Wonderfully light, refreshing, and bubbly peach bellinis! Garnish with frozen peach slice. Nettie! I’m ready for my glass! 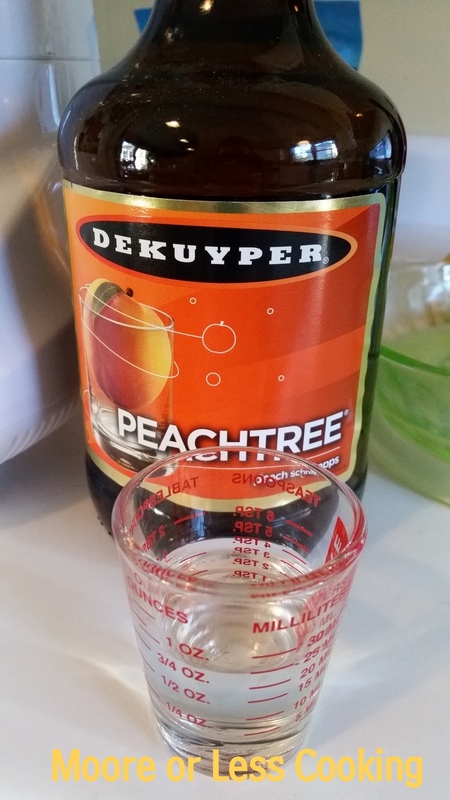 Just refreshing and sneaky intoxicating! Xoxxo Thank you! !